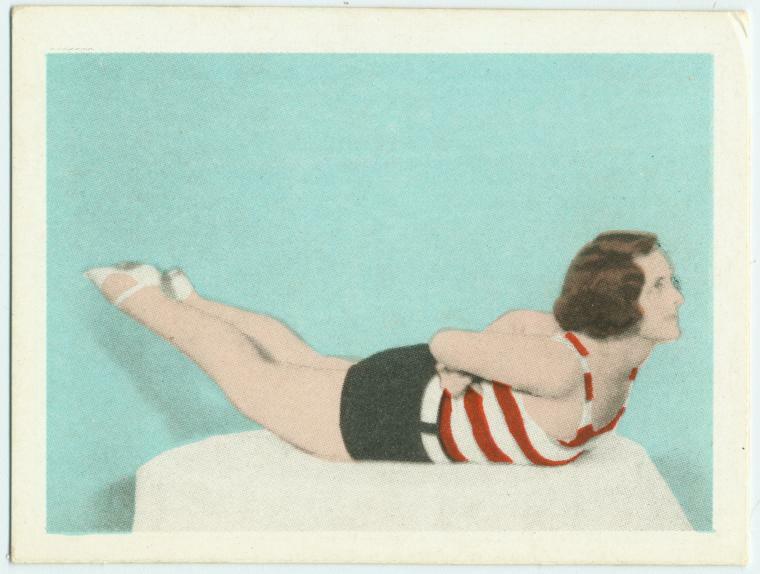 In the days of the 1930s, when 'fitness' and 'cigarettes' were yet opposed to one another, the fitness-concerned man or woman had to look no further than their nearest pack to find a handy-dandy workout routine. 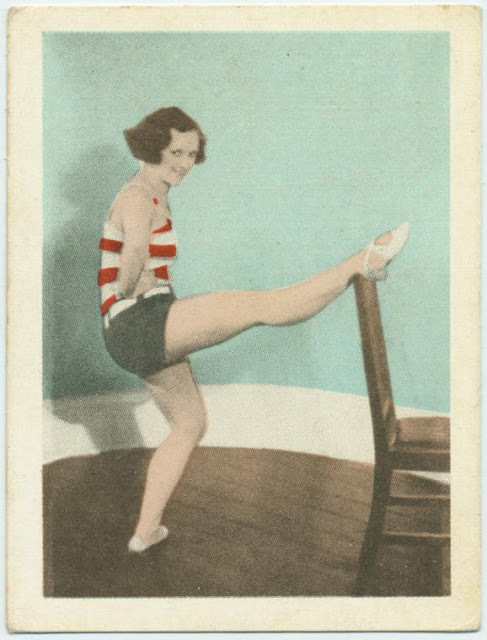 This particular set of 50 cigarette cards were each printed with an exercise, illustrated on the front and described on the back. 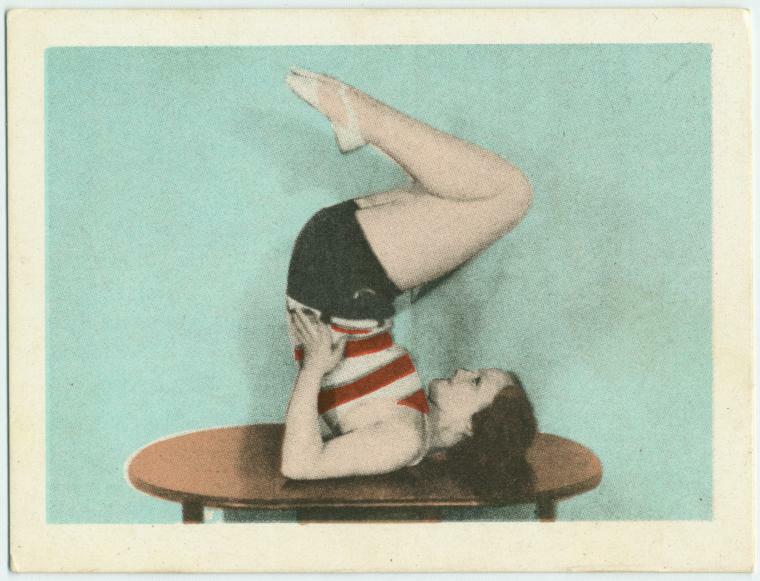 There were 25 each for men and women--because, of course, men and women couldn't possibly benefit from the same exercises. 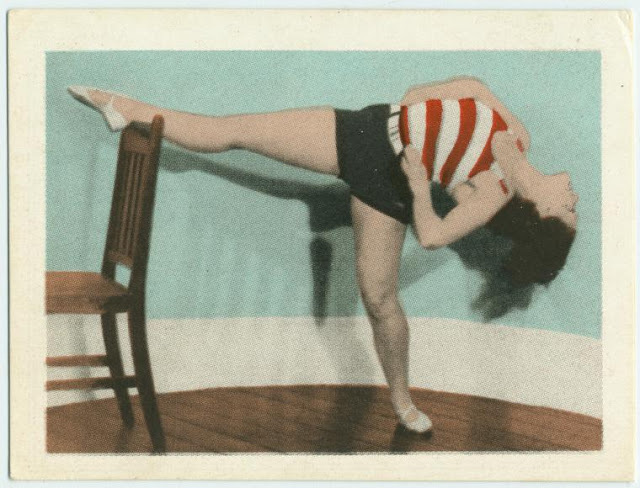 I'm not a fitness-concerned woman (nor a smoker) so I can't vouch for the effectiveness of any of these exercises (though some raise my eyebrows), but, when combined with early twentieth century gym clothes, they sure make for some interesting visuals! 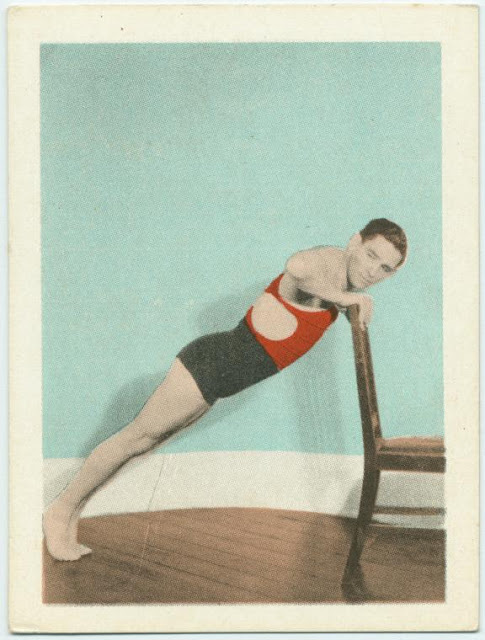 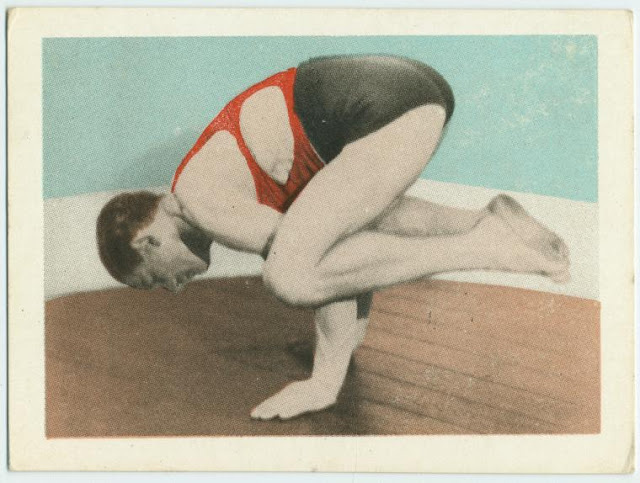 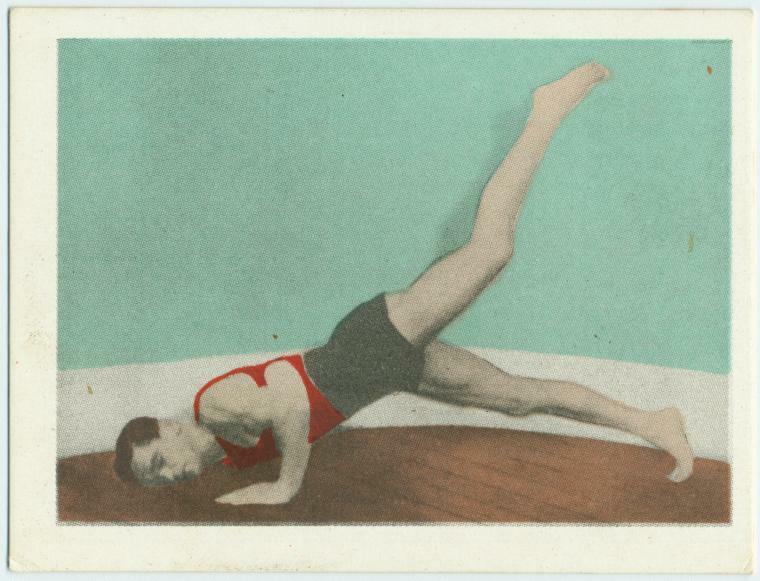 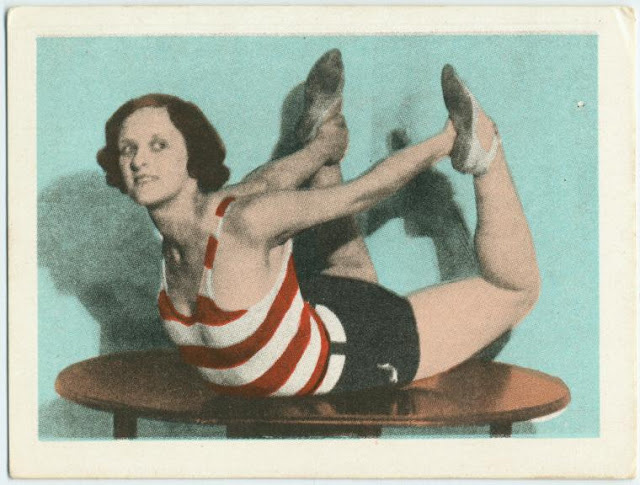 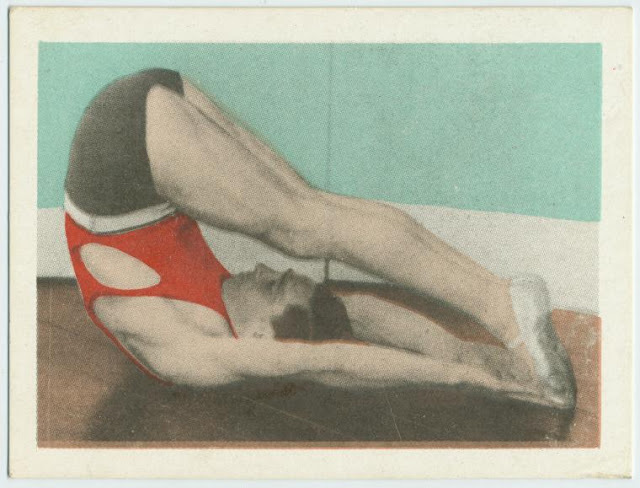 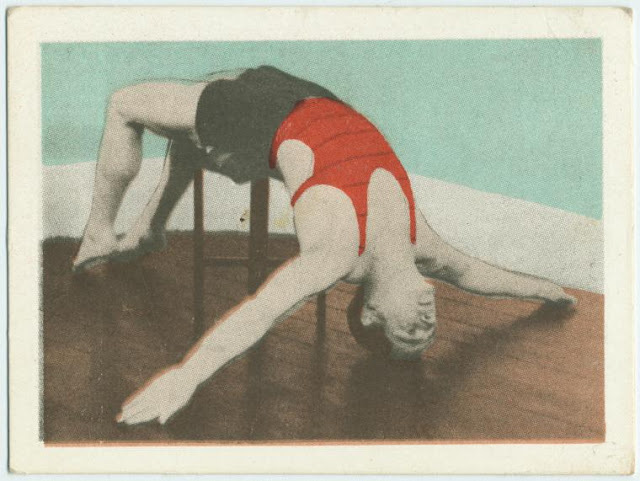 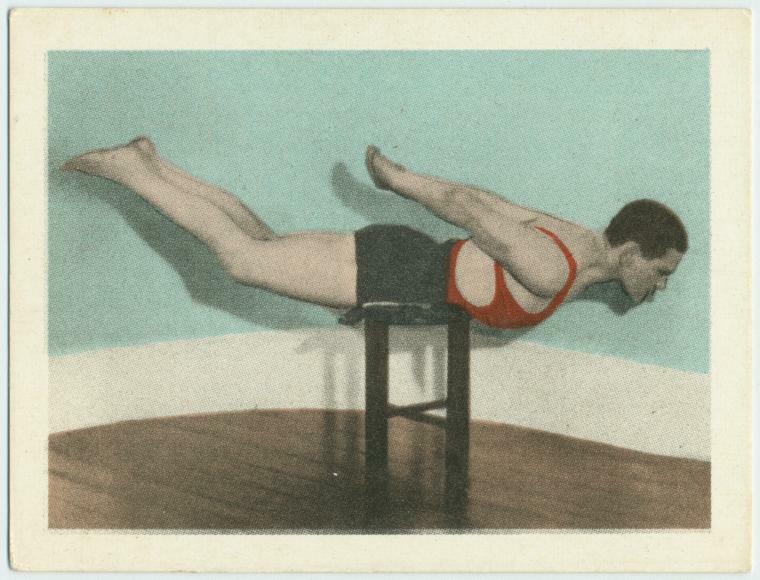 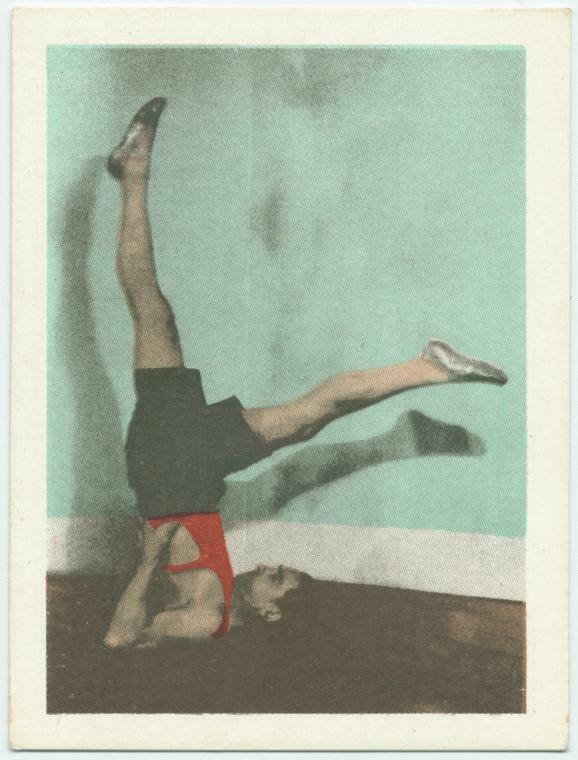 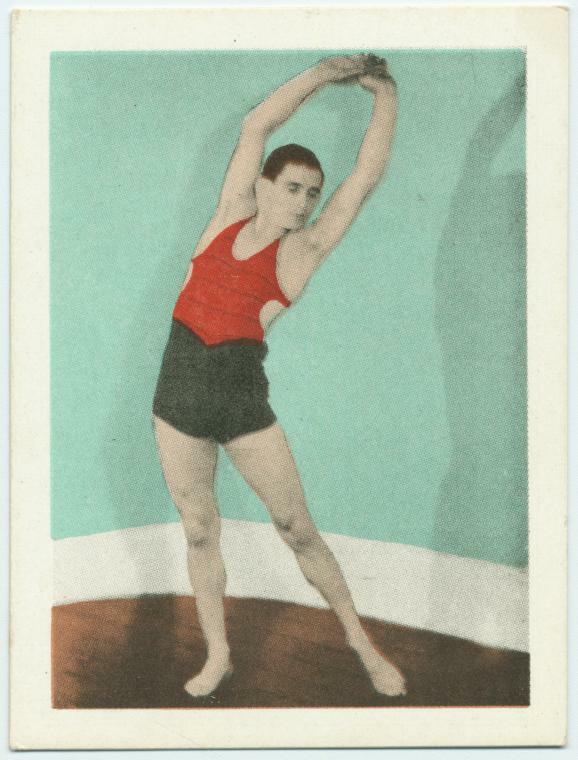 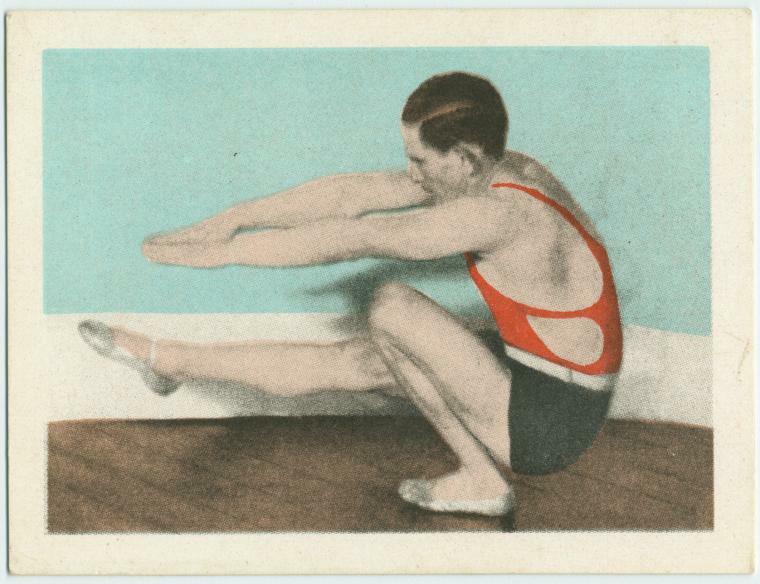 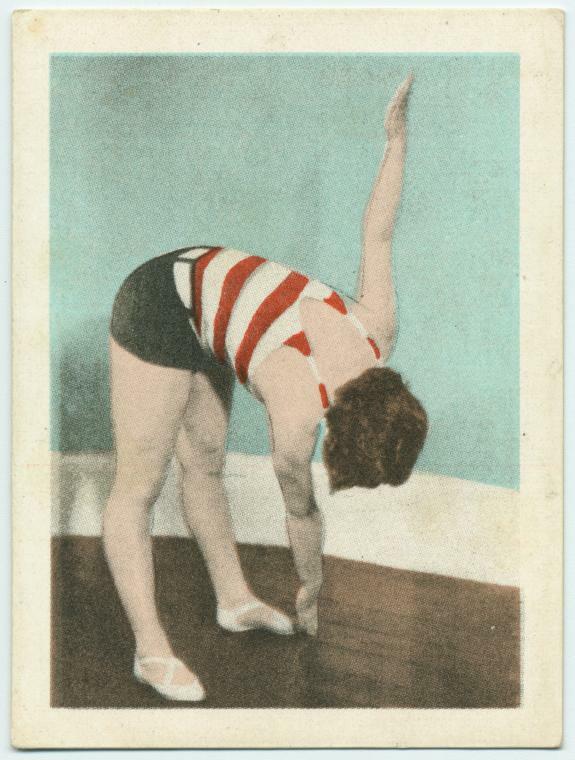 The backs of the cards, with the exercise descriptions, are accessible via the source links. 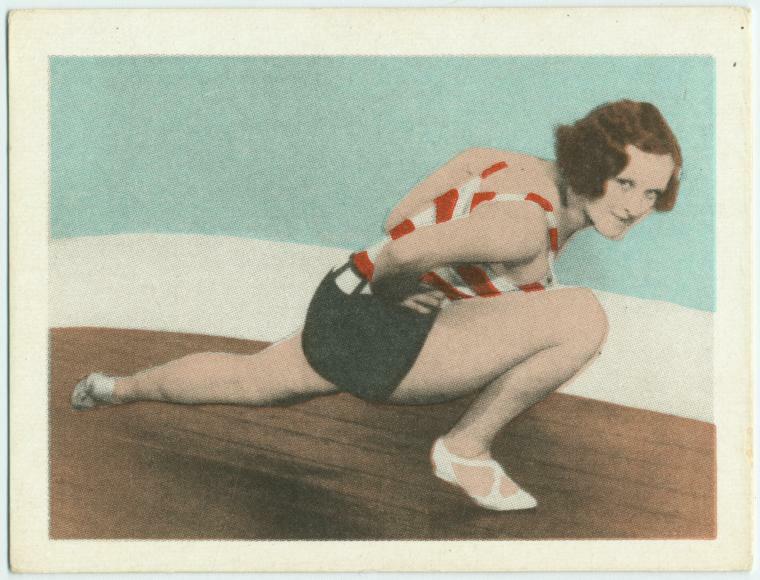 The full set is here.